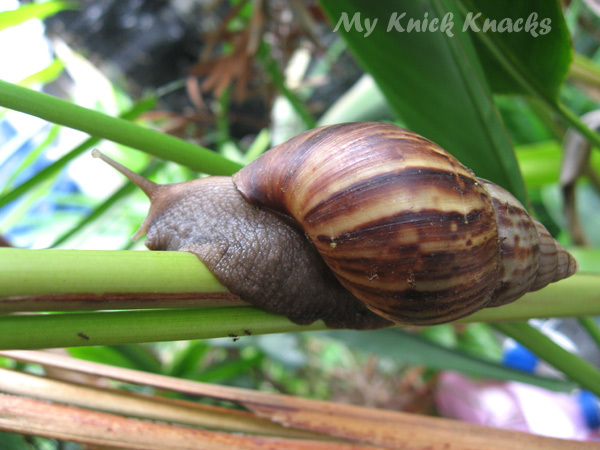 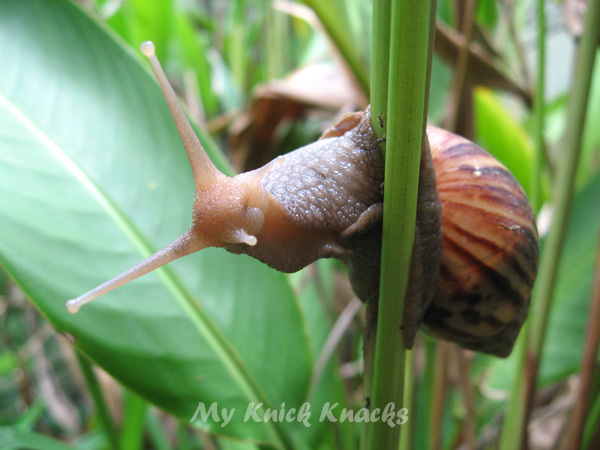 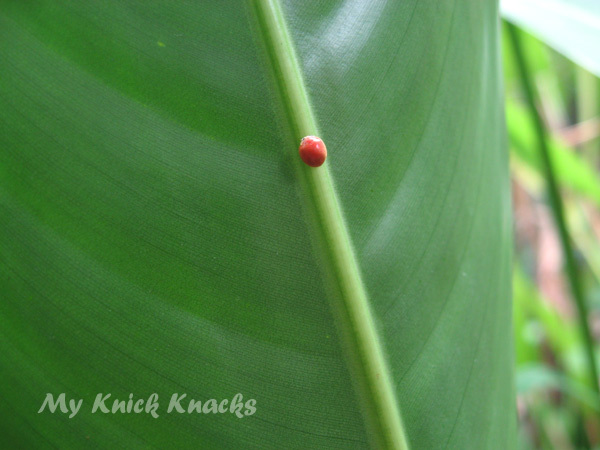 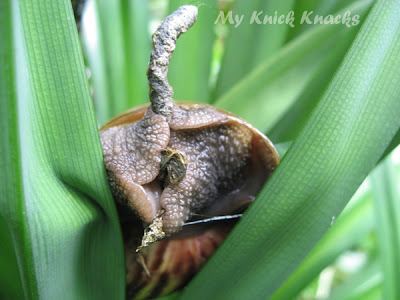 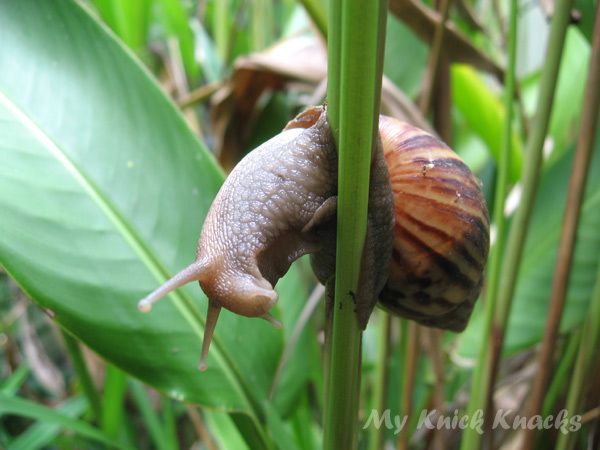 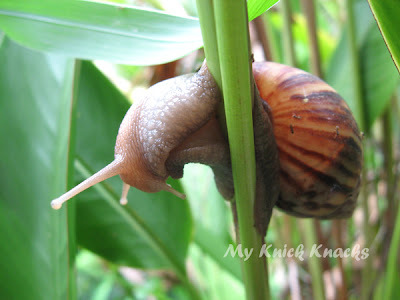 Garden Snail - A Pest Or A Friend ? 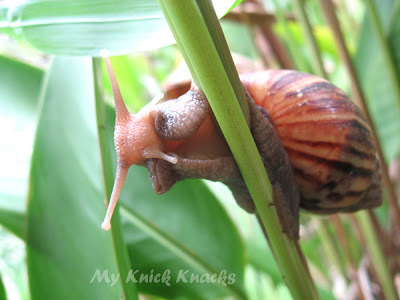 My side garden is full of snails and they attack all my herbs plants...they ate up my Italian Parsley, my Thymes and somehow they never like rosemary so that was spared...the rest just got eaten up by them. So do you think I should make them my friends or my enemies...maybe one day I shall bbq them or cook them in curry or baked them with cheese.... tell me what should I do with them ? And now coming to the final part of these baby birds....they soon realised that they have feathers now all over their bodies and their wings are able to flap away....after observing them for about a month now...I realise that they will soon be flying away from their nest. 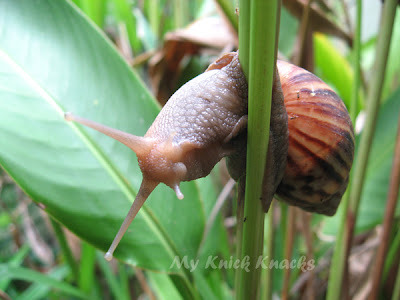 And all these brought back memories of my two Piggies when they left home to continue their studies in the city. 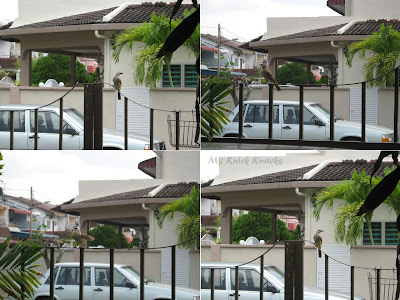 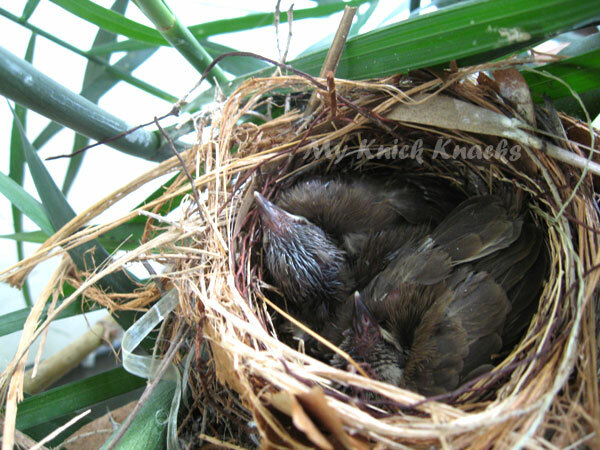 The above photo shows the momsie bird on the clothes line.. '.chirping ' out to their babies to fly out of the nest. It was the most touching and beautiful thing to witness. 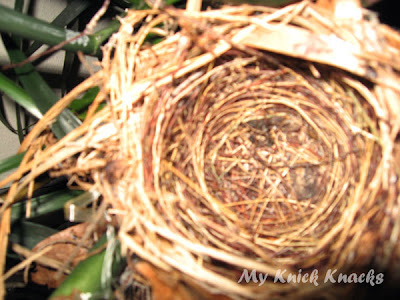 I didn't know that those sounds she made was to encourage her babies to fly out of the nest. 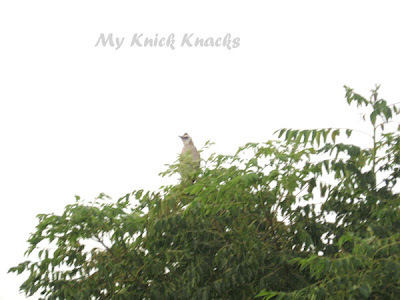 Every day she would sit on the clothes line or the front of my gate and start 'chirping ' to her babies to fly out. 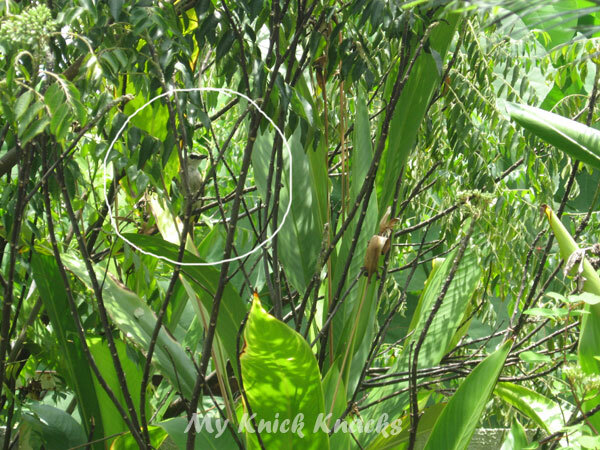 On the third day, the baby birds flew out of their nest and rested on the clothes line with their mother and the mother bird flew to my curry leaves tree and the baby birds flew together to where their mother is. 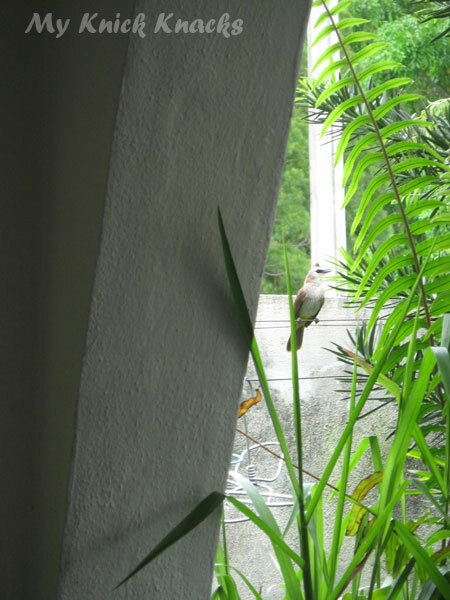 Now this is a lesson to learn from the birds. 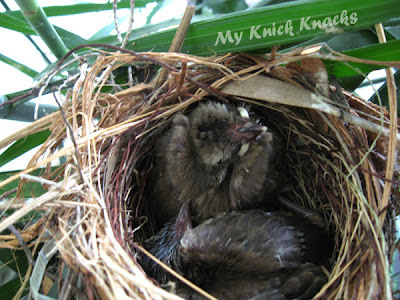 We are role models to our children and this momsie bird is doing just the same thing like us. And I really enjoyed watching them as a family, sitting on the electric cables above the houses like a happy family and the parent birds were watching over them until they can take off properly.....and you can see how happy the baby birds were when they discovered they can soar like the eagles in the sky :) I hope you have enjoyed watching them grow too . This is the ' Daddy' bird ...always keeping an eye on his babies while the mother went hunting for food for the babies and he is waiting to peck Momsie Elin when she goes about taking photos of his babies :p I really enjoyed the last 1.5 months watching they grow. 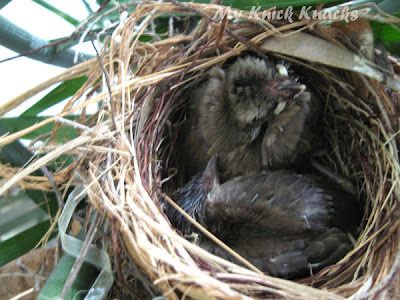 I learned a beautiful lesson from these birds and I relate them to the bringing up of my Piggies. 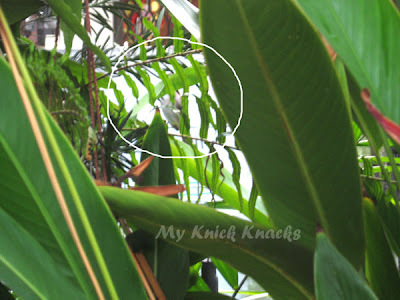 How Wild Boar and myself took turns taking care of our Piggies when they were babies and teaching them the facts of life as they were growing up.